Powerful women from past to present, from Coco Chanel to CEOs, as well as those who reign in the worlds of royalty and entertainment, have used fashion to define themselves, represent their unique personalities, and proclaim their positions of authority. Their individual style choices serve as instruments for self-expression. Suffice it to say, fashion is an integral component in the visual language of society. As the title suggests, WOMEN FASHION POWER, an exhibition at the Design Museum in the UK, promises to be electrifying and colorful. Visitors will take a multi-media journey through the display of historic pieces of clothing, archive footage and animated interviews with preeminent women in fashion design. The Design Museum, which opened in 1989, is recognized as the world’s leading museum devoted to architecture and design. It houses a full range of design, including fashion, product and graphic design. The museum has hosted exhibitions showcasing some of the most important pioneers of design, including Paul Smith, Zaha Hadid, Jonathan Ive, and Dieter Rams. 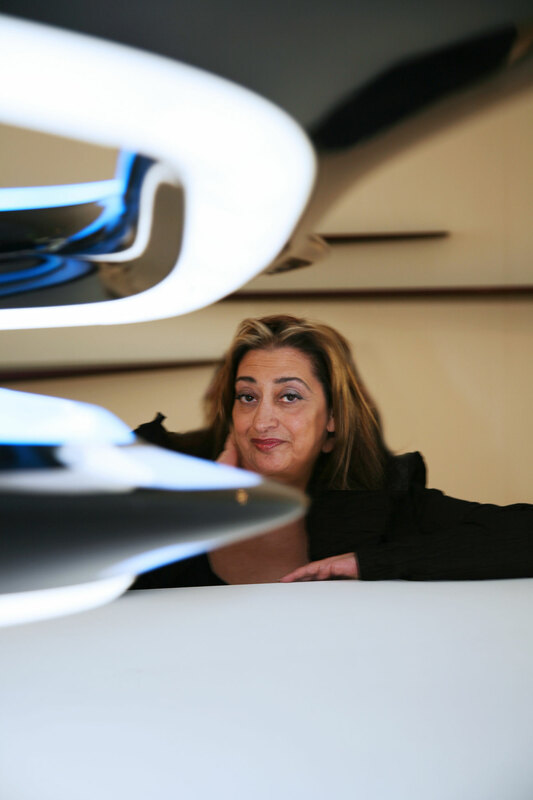 WOMEN FASHION POWER is designed by the world-renowned architect Zaha Hadid. It is co-curated by fashion expert and commentator Colin McDowell and Donna Loveday, Head of Curatorial at the Design Museum. Pearl Lam, owner of Pearl Lam Galleries, and founder of China Art Foundation. One of the women in WOMEN FASHION POWER. Photo courtesy Pearl Lam Galleries. Photograph by William Lovey. The exhibition, which runs from October 29, 2014 through April 26, 2015, will showcase more than 20 contemporary women, such as Camila Batmanghelidjh, Pearl Lam, Zandra Rhodes, Kirsty Wark, Dame Vivienne Westwood, Joan Burstein CBE, Shami Chakrabarti, among other fashion luminaries. They share their personal style philosophy as well as their most memorable fashion moments. WOMEN FASHION POWER takes a close look at the last 150 years of women’s fashion. It reveals how flappers, screen goddesses, hippies, punks and power dressers of the past have influenced trends of today. The exhibition is enhanced by the addition of a visual timeline that illustrates significant political and social milestones in 19th and 20th century women’s history and charts development of major styles. Fashion leader Zandra Rhodes, one of the women in WOMEN FASHION POWER. Photograph by Gene Nocon. 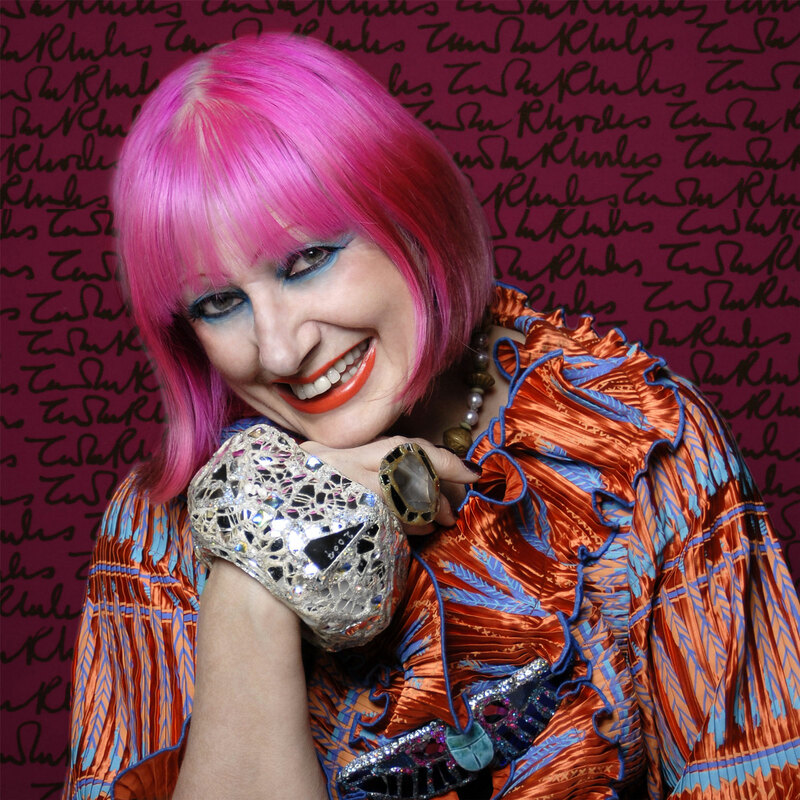 Fashion icon Zandra Rhodes has received international acclaim. She is among those British designers credited for putting London at the forefront of the international fashion scene in the 1970s. Her inimitable signature style is characterized by bold prints, feminine patterns and a dramatic use of color. Rhodes has clothed and designed for such diverse clients as Princess Diana, Jackie Onassis, Elizabeth Taylor, and Freddie Mercury of the rock group “Queen”.